Douglas M. Nadjari | Ruskin Moscou Faltischek, P.C. New York’s Medicaid Redesign Plan — The Neurologically Impaired Infant’s Fund: True Relief or Looming Disaster? The Arrival of Telemedicine: Internet Savior or Electronic Predator? 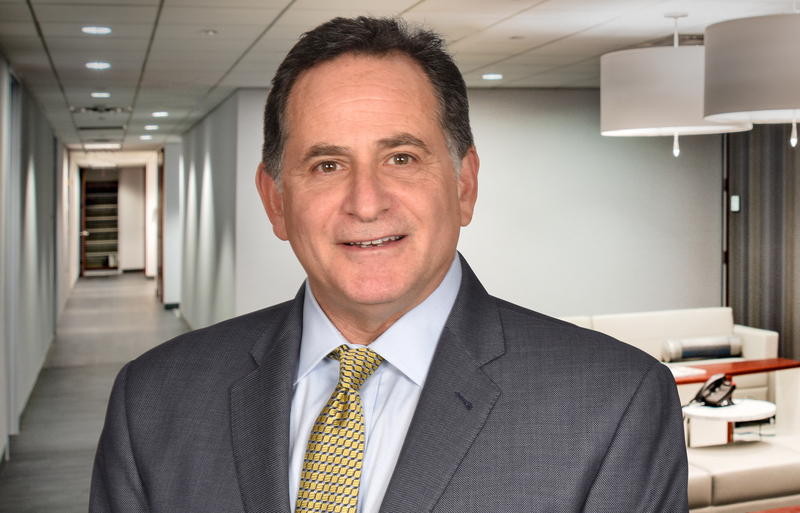 Douglas Nadjari is an accomplished trial lawyer concentrating in criminal defense, regulatory enforcement proceedings, and complex commercial litigation. Over the past 30 years, he has successfully tried dozens of criminal, civil, and administrative cases. He is widely recognized for aggressive representation of physicians and other health professionals. A partner at Ruskin Moscou Faltischek P.C., he is a member of the firm’s Health Law Regulatory Department, White-Collar Crime & Investigations Practice Group and Litigation Department. Nadjari is best known for representing clients in criminal matters and before the Office of Professional Medical Conduct (OPMC), the Office of Professional Discipline (OPD), Office of the Inspector General (OIG) and the U.S. Drug Enforcement Administration (DEA), in hospital medical staff proceedings, audits, claw-backs and demands for repayment made by Medicare, Medicaid and private health insurers as well as the defense of physicians and corporations in criminal, administrative and commercial disputes. Previously a partner at a major New York City medical malpractice defense firm, he also served as a supervisor in the Homicide Bureau and Deputy Chief of the Investigations, Felony Trial and Major Frauds Bureaus in the Brooklyn District Attorney’s Office where he spearheaded the investigation and prosecution of homicide cases, healthcare and other complex financial fraud cases. Doug serves as co-chair of the Professional Discipline Committee of NYSBA Health Care Section, is chair of the Nassau County Bar Association, Health Law Committee, the New York State Medical Defense Bar Association, the Tulane University School of Law Criminal law and Procedure “Boot Camp” faculty, and the L.I. Energeia Partnership. He also serves as a Chairman of the Board of Directors for the Island Harvest Food Bank. Hospital & Health Law Committee: Opioid Addiction: Navigating the New Legislative Landscape & Strategies for Compliance, September 2016. Government Investigation of Controlled Substances: Representing Health Care Entities & Providers, Nassau County Bar Association June 2016. Panelist Long Island Association Symposium Data Breaches: A Survival Guide, April 2015. Moderator: RMF and HUB International: Data Security for the Healthcare Industry, June 2015. Accomplice Testimony & Evidence Uncharged Crimes at Trial and Sentencing: The Prosecutor’s Best Friend and Defendant’s Worst Nightmare, Tulane University School of Law, January 2014 – 16. Representing Physicians & Other Healthcare Professionals: Navigating the Clear & Present Danger Posed by the National Practitioner Databank, Nassau County Bar Association, May 2014. Settlements Verdicts & The National Practitioner Databank, A Primer on Protecting Yourself and Your Clients, NYS Medical Defense Bar Association, June 2014 Verdicts. Healthcare Today: A Minefield for the Unwary, Including Ethical Obligations, May 2012. Defending Health Care Professionals Against Clear & Present Danger Posed by the National Practitioner Databank, Lawline 2010. New York’s Office Based Surgery Statute: A Practical Guide. Physician Persecution, The Criminalization of Healthcare in the New Millennium. Fraud & Abuse and Current OPMC Trends. Practice Options & Contracting Issues for Graduating Medical Residents. Managed Care and Managed Care Contracts The Scope of the Patient/Physician Relationship. Medical Records & Coding Issue: A Primer for New Physicians and Medical Residents. Legal Implications of the Physician Patient Relationship: A Primer for Medical Residents. Successfully represented the CFO of a not-for-profit entity and avoided all charges in an investigation initiated by the Charities’ Bureau of the NYS Attorney General’s Office. Coordinated HIPAA breach investigation, reports, responses and related government inquires for large multispecialty medical groups. Obtained dismissal of 10 separate indictments brought against physicians and professional corporations in criminal matters brought by the Suffolk County District Attorney. Following the completion of pretrial hearings, secured the dismissal of all criminal charges brought against a physician by the NYS Attorney General, Medicaid Fraud Control Unit. Successfully defended physician before the OPMC in investigation concerning controversial treatment of Lyme disease. Successfully mediated civil dispute on behalf of healthcare employer charged with sexual harassment by employee. Successfully defended physician facing multiple sexual boundary complaints investigated by the OPMC. Represented several physicians charged by the NYS Attorney General with engaging in conspiracies to sell prescriptions for narcotic medications. Using NY’s Prompt Payment law, prosecuted a lawsuit against Fortune 500 health insurer on behalf of a gynecologist seeking payment for out of network services. Successfully defended physician facing false allegation disability from the practice of medicine due to physical and mental disease investigated by the OPMC. Successfully negotiated confidential separation from hospital system for surgeons facing allegations of research dishonesty and potential violations of federal law. Represented multiple physicians in disciplinary proceedings brought by the New York State Department of Health, Office of Professional Medical Conduct (OPMC) including a recent matter that resulted in withdrawal of all disciplinary charges during the course of an ongoing hearing. Represented several NJ podiatrists in unrelated prosecutions for Medicare fraud brought by the U. S. Attorney for the District of New Jersey. Represented providers of durable medical equipment (DME) in a broad conspiracy indictment involving charges of money laundering and healthcare fraud brought by the U.S. Attorney for the Eastern District of New York. No charges lodged against a key corporate employee of a large hospital system in a bribery and public corruption investigation undertaken by the U.S. Attorney for the Southern District of New York. Successfully represented key employee of a large construction company in an investigation involving a crane collapse undertaken by the NY County District Attorney. Successfully represented a well-known Ohio art dealer in a dispute with the Metropolitan Transit Authority concerning ownership of valuable artifacts. Successfully represented various physicians in RICO cases involving fraud and allegations of corporate practice of medicine brought by large insurance conglomerates and litigated in the U.S. District Courts. Represented podiatrists, social workers, chiropractors, dentists and physicians in prosecutions brought by the Queens, Brooklyn and NY County District Attorney alleging participation in money laundering and healthcare fraud conspiracies.